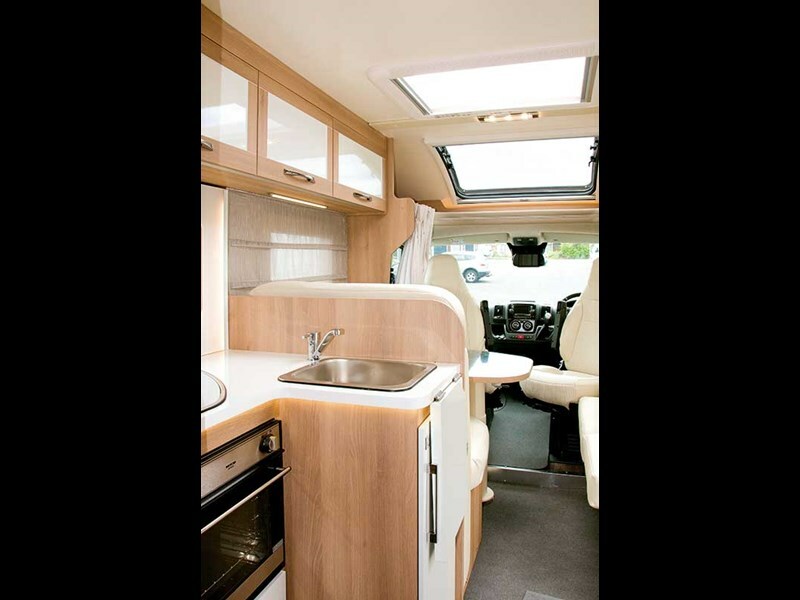 Check out this review of the new CI Magis 82P motorhome. 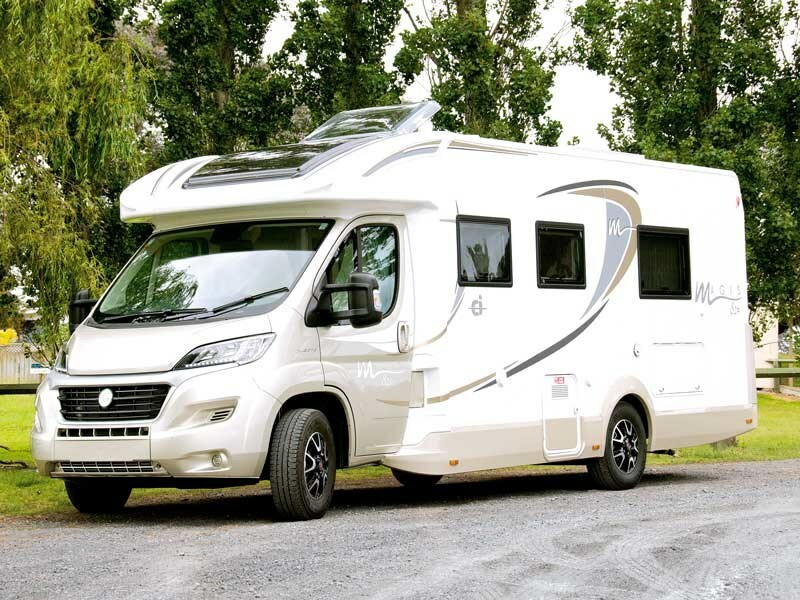 It was no surprise when I called on Shane Smale of Walkabout Sales, New Zealand’s sole agent for Ci Motorhomes, to find the recently released Magis 82p I was there to review was the 2016 model. 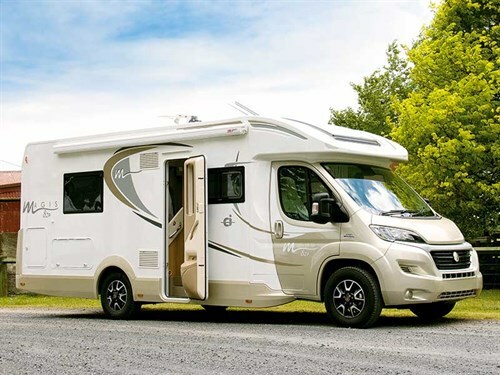 In Europe, next year’s models are released around the end of August – in time for the end-of-summer motorhome shows, and they show up in New Zealand from October onwards. Changes on last year’s model include new body graphics across the white side panels. 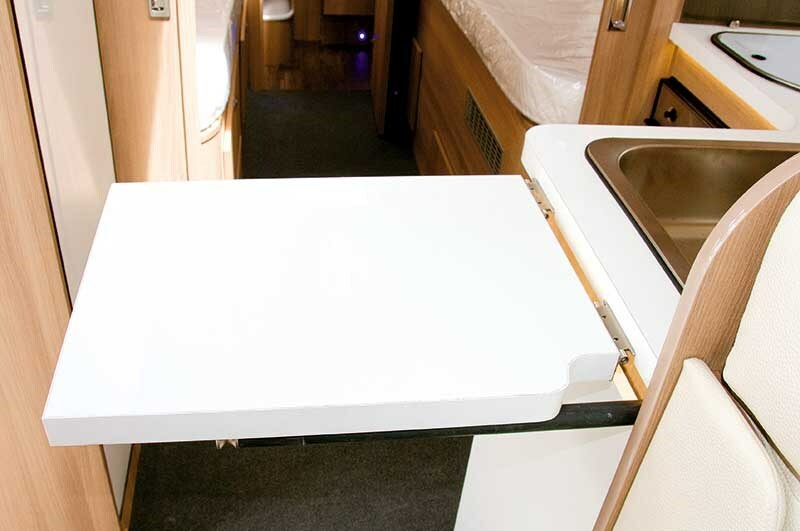 Mounted above, the four-metre Fiamma awning blends in seamlessly, and less obvious are the new flatter windows panes. Entering the Magis, up two steps in the stairwell, is easy enough if you are mobile, but some may appreciate having a third foldout step as well. 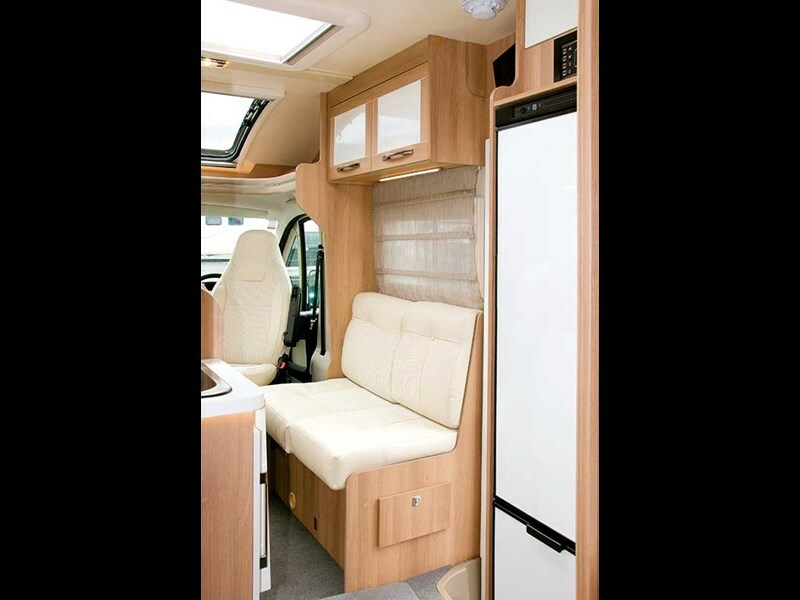 To the right, the dinette/ lounge includes cab seats that rotate to face aft. 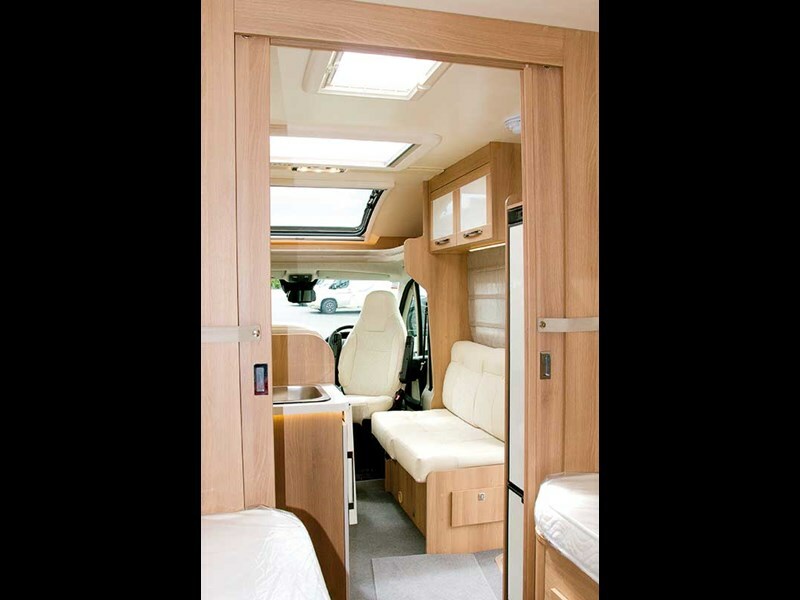 Opposite is the kitchen and to the left are twin beds with the bathroom across the rear of the vehicle. 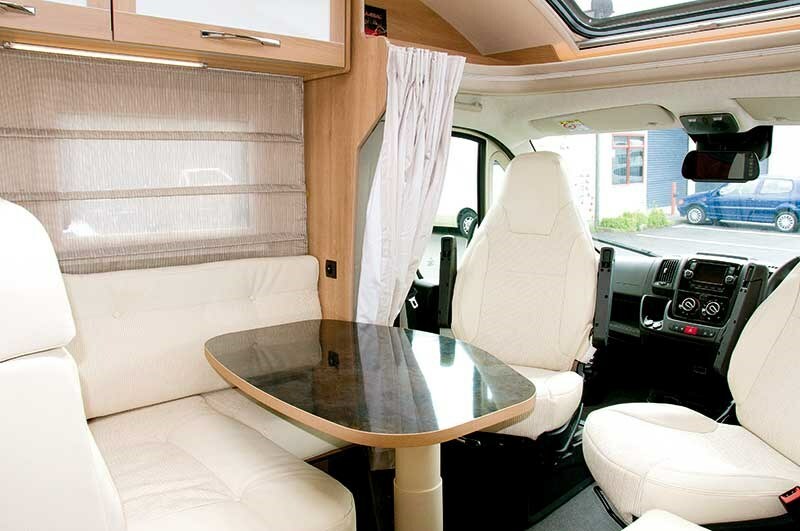 By using lightly toned cabinetry and upholstery combined with three roof hatches, the interior of the Magis is nearly as light and bright inside as it is outside. The main source of light is the panorama hatch (1000 by 800mm) at the front, supported by the centre hatch (a 960 by 655mm Heki 3) and a smaller one above the kitchen. 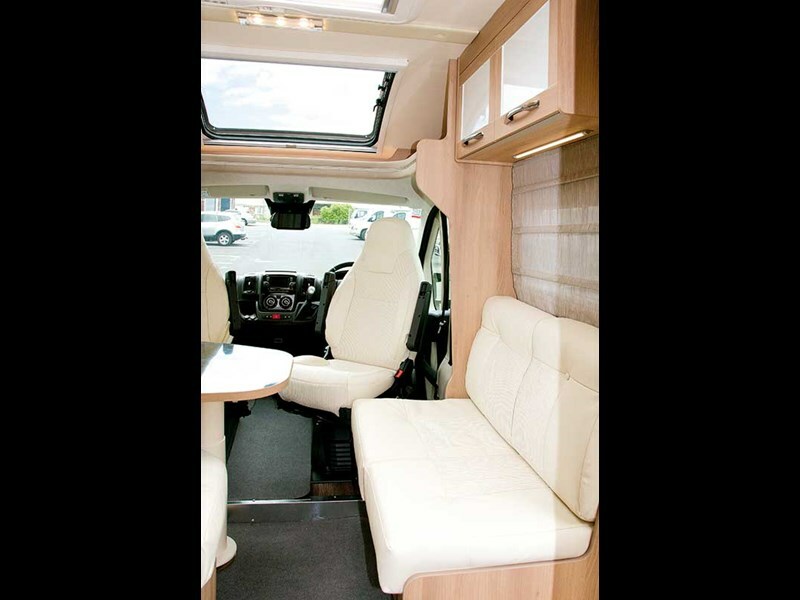 Because of its exceptional durability, Shane orders Eco-leather upholstery on all of his stock motorhomes and those for his rental fleet. In this Magis, it is ivory-coloured (Tiffany) matched with ash blonde cabinetry. Shane pointed out the changes inside: the overhead locker doors have white enamel centre panels, the new-style LED centre lights, and new strip lighting on the underside of the overhead lockers. They’re small refinements that sharpen the image inside the Magis. To the left of the bathroom door, at the rear of the Magis, is a large hanging locker around 550mm-deep and 650mm-wide, allowing ample room for clothes on hangers. The toilet swivels to provide ample knee-room; there is room to stand in front of the hand-basin/vanity/mirror to shave and the separate oblong shaped shower stall has more than enough room for showering calisthenics. Symmetrical simplicity sums up the bedroom. Each side is a single bed and a window with three lockers above. Below the beds are drawers for personal items. 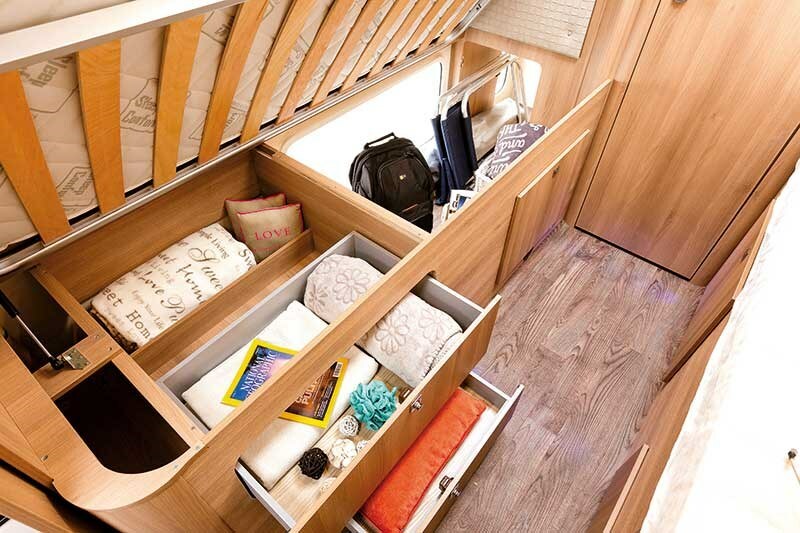 The large storage space under the beds that is accessible through the outside hatches can also be accessed through hatches below the beds or by lifting the slat bases that the mattresses rest upon. When privacy is required, a pair of solid doors close off the bedroom from the lounge. Apart from functioning as a bedroom, this space can also serve as an overflow lounge when larger groups of people are being entertained. While the kitchen area is small, I like the way the cook can stand out of the firing line in the corner of the L-shaped bench. The essentials are present: on the left, a three-burner Smev hob with a Thetford Duplex oven below; on the right, a large rectangular sink above a cupboard housing two large sliding shelves edged with stainless steel fiddle rails to keep the contents in place. Opposite the kitchen bench is a 140 litre auto-select three-way Thetford narrow (but tall) fridge/freezer. Walkabout Sales has had a bench extension (400 by 300mm) installed that provides welcome additional bench space. It works well in its current form but he emphasised it was work in progress with more improvements to come. 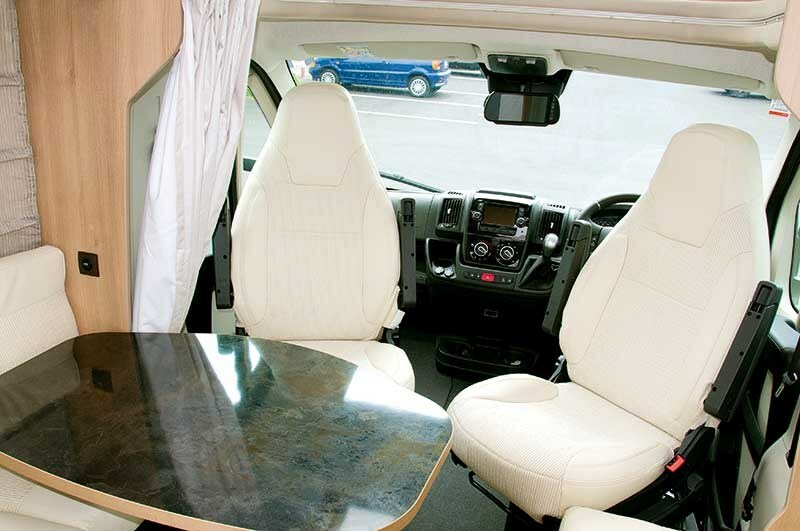 Rotating the cab seats allows room for five people at the dining table. These cab seats are not only the most comfortable ones in the lounge, but are also the best ones to occupy while watching the TV that sits above the entry door. The dining table can be slid sideways and front-to-back so no matter which seat you sit at. It is a very comprehensive and well-priced package at $139,500, including GST on the road. For more information, phone (09) 833 1163 or 027 659 1748.